This is the experience of the unconscious side of Virgo, the habitual, more needy and childlike aspects of behaviour. 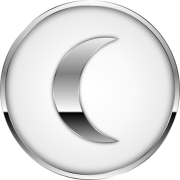 Earthy Moon positions all tend to be down to earth, reliable, practical, very physical, patient even to a fault, and yet lacking motivation to change what has become unacceptable. 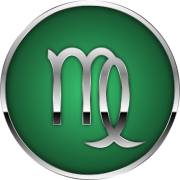 Virgo Moon is the careful, conscientious perfectionist who is in control and must get things right, so is critically observant in all matters, especially of health and hygiene, fitness, diet, and ecology. They are quick, diligent, competent, skilful, and adaptable. Reserved and rather modest, they thrive in service, being reasonable, helpful and reliably useful in fulfilling assigned tasks. ​They can get emotionally blocked, ice cold and nitpickingly unaccepting towards the faults of their own or of others, and are well able to manifest the misfortunes they so worry about. A fear of chaos can arise that makes them a stickler for order and security, somewhat anxious, severe and aloof and having the need to organise things and people into pigeonholes.